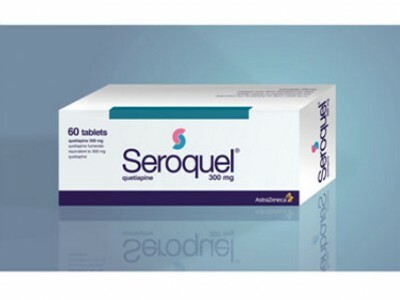 Seroquel (Quetiapine) is an antipsychotic drug used for treating schizophrenia and bipolar disorder in children and adults. For the use of bipolar disorder, there is the age limit of at least 10 years old for the children for it to be prescribed. It can be used also as a drug of option for depression, anxiety, insomnia, etc. Seroquel can be also used as a drug of option in some conditions in which you may feel very agitated, excited enthusiastic or hyperactive, as well as in the state in which you can have disrupted the ability of reasoning which includes destructive or aggressive behavior. This is a condition in which you hear or feel something that doesn’t exist or believe in something that is not true or feel something unusual. It can include anxiety, guilt, confusion, tension or depression and suspiciousness. This medicine can be very helpful for many patients as they proved it in they use, but in a long-term use, it can be a little bit discouraging. It is advised not to take Seroquel if you are allergic to quetiapine or any other ingredient in the medicine. You shouldn’t take this medicine if you are taking any of the following drugs: drugs for HIV, medicines against fungal infections or Nefazodone. Precautions: Carefully use Seroquel if you or any member of your family have or have had any heart problems, if you suffer from low blood pressure, if you have had a stroke, if you suffer from liver disorder, have diabetes, if you have dementia, if you have had a low amount of white blood cells or if you suffer from a blood clots. There is an increased risk of suicidal thoughts in adults younger than 25 years old, suffering from depression. Therefore, it is recommended to follow a person who is starting the therapy. When your doctor opts for this drug and prescribes a therapy, the initial dose of the drug and a maintenance dose will depend on your illness and needs, but it is usually from 150mg to 800mg. This medicine is needed to be taken once daily. Tablets are for oral ingestion and you shouldn’t chew this medicine like a gum or crumble it. It is the best to drink a medicine with a little water, on an empty stomach, at least one hour before bedtime. It is very important that you don’t drink grapefruit juice during the Seroquel treatment. Also, the length of a therapy is determined by the doctor, so don’t just stop the treatment without the prior consultation with your doctor. Seroquel shouldn’t be used by children and adolescents younger than 18 years. If you overdose with this drug, you may experience sleepiness, dizziness, and irregular heartbeat, therefore, immediately contact your doctor. There are a few factors which are crucial when withdrawing from this kind of medicines. They include time span, dosage, individual factors, tapering vs cold turkey and other. Time span presents the period of which you used the drug. Since those who were on a drug effect for a longer time, such as a few years, will have a greater expression of withdrawal symptoms, we should include time span into consideration. Those who are on a drug prescription for a shorter period of time will have a less likely occurrence of the withdrawal symptoms. There are a few options for dosing, including 25 mg, 50 mg, 100 mg, 200 mg, 300 mg, and 400 mg. Depending on the condition, every individual has a different dosage option. If you are on a higher dosage over a longer period of time, you may develop a dependency where your brain will get used to new neurotransmitter levels and will have a greater effect when out of its „natural“ state. It will be harder to cope with these changes, so it is recommended to follow the tapering system. For example, people who are taking Seroquel for a schizophrenia, often are on a dosage prescription of 150 mg up to 800 mg per day. Those who are on a higher dose will take longer to get off the drug. As for most of the psychiatric medications, it is important to go gradually to lower doses in order to avoid any sudden changes which may trigger bad withdrawal symptoms. Your doctor will probably make a gradual plan to slowly taper the dosage of the drug in order to stabilize the brain and in order to let the brain get used to the new condition. The tapering process will last longer for the people who are on a higher level of dosing, but it will be harder as well due to many more symptoms which can happen. If you are on a drug prescription for a shorter period of time, you might not feel any strong symptoms even when quitting cold turkey. Depending on the dosage and the condition, it can take up from a few weeks to a few months. Since none of the individuals taking this medication is not the same, the symptoms will also differ from person to person. Some people are more sensitive than others and may experience a heavier occurrence of the same. Some people suffering from bipolar disorders or schizophrenia may experience worse of their prior symptoms. There are some symptoms which can occur frequently such as dizziness, headache, dry mouth, insomnia, nausea, diarrhea. There are also reported: irritability, rapid heartbeat, stuffy nose, constipation, stomach discomfort, weakness, fainting, swelling of the hands or feet, low blood pressure when standing up, an increased amount of blood sugar, blurred vision, abnormal muscle movements, shaking, restlessness or painless muscle stiffness, abnormal dreams and nightmares, increased appetite, thoughts of suicide and worsening of depression. Side effects are also: shortness of breath, fever, allergic reactions, difficulty in swallowing, rash, hives, uncomfortable feeling in legs, worsening of existing diabetes, increased sweating, jaundice, hepatitis, swelling of breasts and unexpected secretion of milk in the breasts, menstrual disorders, blood clots in veins. Anxiety. You might feel more stressed out than usual, but you should be aware that it is simply due to drug abstinence. Depression. If you were taking this drug for depression reasons, you might feel worsening of the symptoms which may be hard to cope with. Concentration Problems. You can have a „brain fog“ or poor concentration due to your brain’s trying to adapt to the new surrounding. Headaches. Some people have reported headaches from mild ones to a migraine types. It can be hard to deal with, but it will subside. Fatigue. It is normal if you feel tired, lethargic and empty of energy. The withdrawal period can have harder symptoms to deal with, but they will go away after some time. Insomnia. You might not get a good night sleep since your brain is not functioning right, you might get anxiety attacks or disrupt sleep cycle which can also prolong anxiety. Mood swings. If you feel happy and all of a sudden sad and that you want to cry, this does not mean that you suffer from a bipolar disorder. Some individuals have experienced heavy mood swings followed by crying spells when on Seroquel withdrawal. Nausea. It can be a common symptom where you might feel nausea and even have vomiting episodes. Sweating. Some people have reported they have felt excessive sweating periods. This is mostly expressed in the beginning of the withdrawal period. You might have sweaty times at day or at night, depending on each person. Vomiting. Some of the side effects include vomiting and nausea. This can be trying, and you will have to drink a lot of water in order to help your system get the fluid it has lost and also to help detoxify the organism. Suicidal Thoughts. Some individuals say they have felt strong depression up to a level where they have experienced suicidal thoughts. It is important to be realistic about the reasons why you feel that way and to be ready to cope with problems until the normal state comes back. Psychosis. Since Seroquel is an antipsychotic drug, the withdrawal from it can provoke psychosis. You may feel delusional, you can feel some kind of hallucinations and some people even experience schizophrenia. Every person will react on a Seroquel differently. It is not possible to predict the withdrawal time for every individual. Some will have the symptoms presence for a few weeks while other will feel if for a few months. It is best to eat healthy, drink enough fluids, exercise, be productive and socialize. This si crucial since it will help you with dealing with everyday symptoms and you will feel better when you are with your family and friends. Every person has their own characteristics which are partly due to genetics and partly due to their health condition at the present, the drug which they may intake in the same time. There are some medications which can induce and others which can inhibit the drug withdrawal from the body, therefore, it can prolong the withdrawal period. Have you ever used this medicine? Which side effects did you notice? If you used this medicine and had different symptoms, comment down below and share your story with other people.